BLUE HILL, Maine — Maine environmentalist Dr. Susan Shaw, director of the Marine Environmental Research Institute, will be honored by two national organizations later this month. The Society of Woman Geographers has named Shaw the 2011 recipient of its Gold Medal, the society’s highest honor, which recognizes original, innovative or pioneering contributions that are of major significance in understanding the world’s cultures and environment. Previous recipients have included Amelia Earhart, Margaret Mead, Mary Douglas Leakey and Jane Goodall. The award honors Shaw’s “pioneering research documenting harmful impacts of man-made chemicals on marine life including widespread contamination of North Atlantic marine mammals by toxic flame retardants.” It will be presented during the society’s triennial meeting in Boulder, Colo., on May 21. A few days later, on May 23, The National Audubon Society’s Women In Conservation Program will recognize Shaw’s accomplishments as a “Woman of The Gulf” at its annual Rachel Carson awards luncheon in New York. The Audubon’s Women in Conservation Program honors women leaders whose work is crucial to the environmental movement. “I am honored to be recognized by two outstanding organizations that appreciate the seriousness of the problem of ocean pollution and are drawing attention to the urgent need to find solutions,” Shaw said in a prepared release. 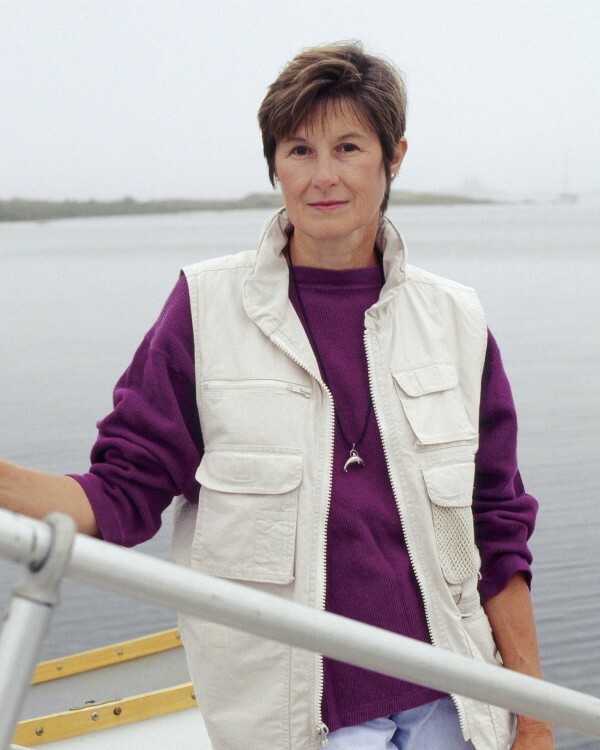 An outspoken voice on ocean pollution, Shaw’s “Seals as Sentinels” project is MERI’s signature research initiative on Gulf of Maine contaminants, and she is credited as the first scientist to show that flame retardants in consumer products have contaminated marine mammals and commercially important fish stocks in the northwest Atlantic Ocean. In 2007 Dr. Shaw testified before the Maine Legislature against the use of the neurotoxic flame retardant Deca. Maine became the second state in the U.S. to ban the use of Deca in consumer products. Shaw dove into the Gulf of Mexico oil slick in 2010 and helped to focus the national debate on the hazards of the chemical dispersants used on the oil in the gulf. She subsequently launched Gulf EcoTox, an independent investigation into the effects of oil and chemical dispersants in the food web. In 2010, Shaw was appointed to the U.S. Department of Interior Strategic Sciences Working Group, a 14-member team charged with assessing the BP oil spill’s consequences and recommending policy actions.